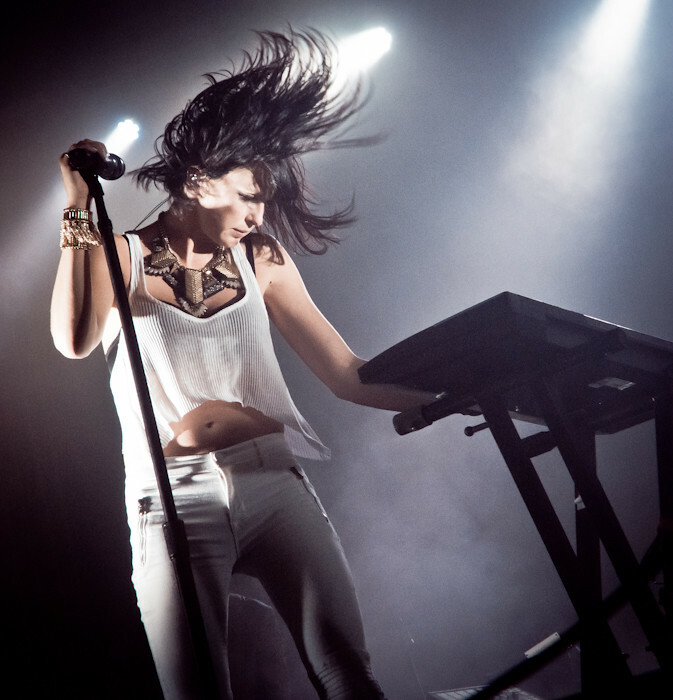 Phantogram's Sarah Barthel performs at Hollywood Forever Cemetery. 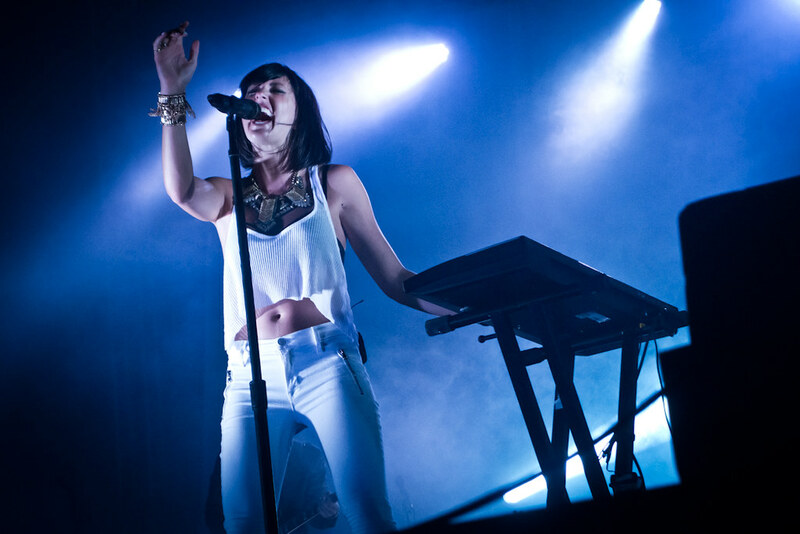 Given the dark, shadowy melodies by New York City's Phantogram, a concert at a cemetery was fitting for New York duo. Friday night, Phantogram performed in front of a sold-out crowd at Hollywood Forever Cemetery - a site that's fast becoming one of Los Angeles' best venues for nightly concerts and film screenings given throughout the year. Phantogram performs "Bill Murray"during their show at Hollywood Forever Cemetery. 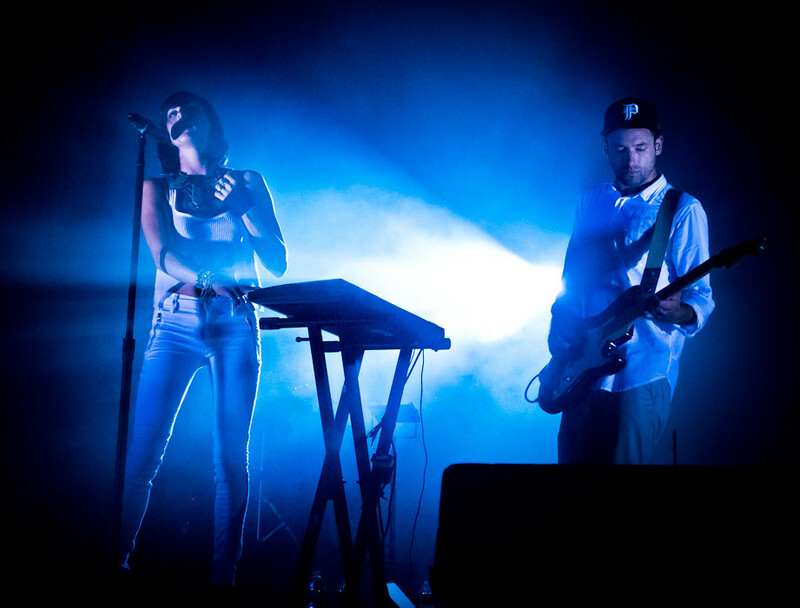 Known for their visual and electric live shows, Phantogram has slowly built their loyal following since the release of their debut album Eyelid Movies in 2009. Shimmering guitars that pave the way for diamond-laced, synth-pop was showcased with an even extravagant light show in front of the sold-out crowd willing to brave sitting a few feet from tombstones. One of the highlights was during "Bill Murray" when Sarah donned a floor-length throw covered with diamond-shaped mirrors as golden spotlights bounced off her like shooting stars. 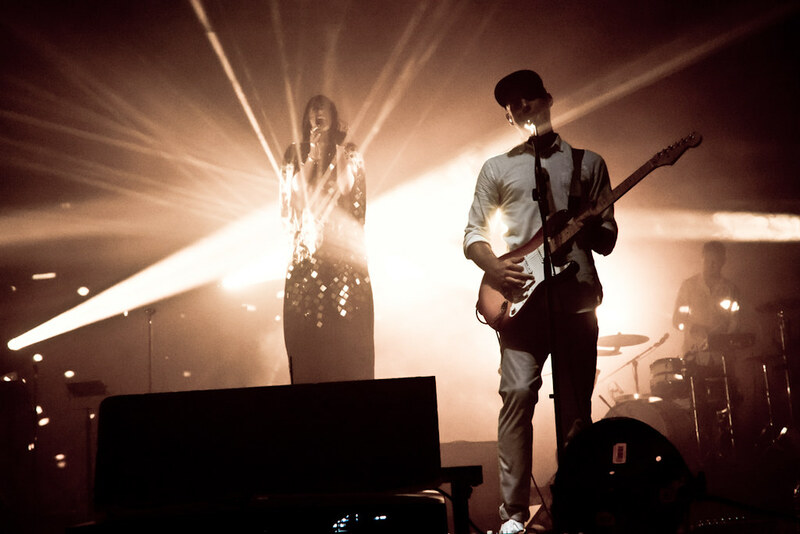 No doubt one of the busiest groups in music today, Phantogram, consisting of Sarah Barthel and Josh Carter, have been touring constantly since their sophomore release of Voices earlier this year. Their busy touring schedule also had them performing at some of the biggest music festivals this summer including Firefly, Lollapalooza and the upcoming Austin City Limits. And starting in November, Phantogram will take their tour overseas for their European tour with stops in Germany, France and the UK.